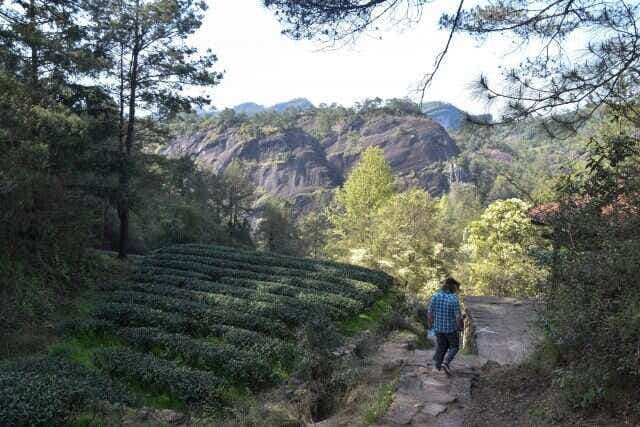 The trip was a reminder that it isn’t just a region like Wuyi or Anxi that defines a tea, it is the specific valley or mountain slope, the hours of sunlight, the proximity of other plants and birds, and of course, the technical expertise applied to both cultivation and processing. Rou Gui is quickly becoming one of the most popular Wuyi Oolongs across China for its intense concentrated aroma, and the textural cooling tingling sensation called yun that it shows off at the highest levels. Li Xiangxi and her family’s Rou Gui has been winning gold and silver medals at competition for years due to their incredible skill at coaxing the best aroma from each leaf through slow subtle roasting. At Li Xiangxi’s school of tea tasting and ceremony, Rou Gui is one of the first most foundational teas to master. The first sips are easy to enjoy, but the tea has so much hidden beneath the surface that it makes a great example to immerse her students in tasting technicality. First, the flavor is evocative of Rou Gui’s namesake, cinnamon. The sweetness and undeniable spice set Rou Gui apart immediately. Second, the aroma is intense and lingering, finally the texture provides many students first glimpse into the Chinese concept of yan yun. We had the chance to film part of Li Xiangxi’s lecture on yun using Rou Gui as an example when we last visited her school. 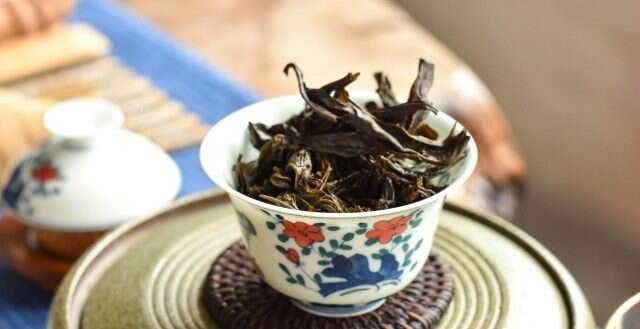 After Li Xiangxi’s special grade Rou Gui won a Wuyi tea tasting competition last year, it sold out so fast that she never had the chance to share it with us. In 2017, she was kind enough to supply us with a small quantity of her Award-Winning Rou Gui to share as an example of intense fragrance and aftertaste. Ma Tou Rou Gui is one of the most sought after Wuyi Oolongs in China. 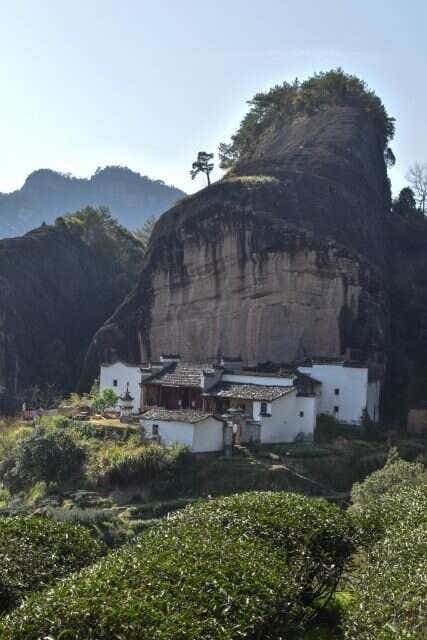 The iconic Horse Head rock formation marks a small valley microclimate that has become known as one of the finest in all of Wuyi. 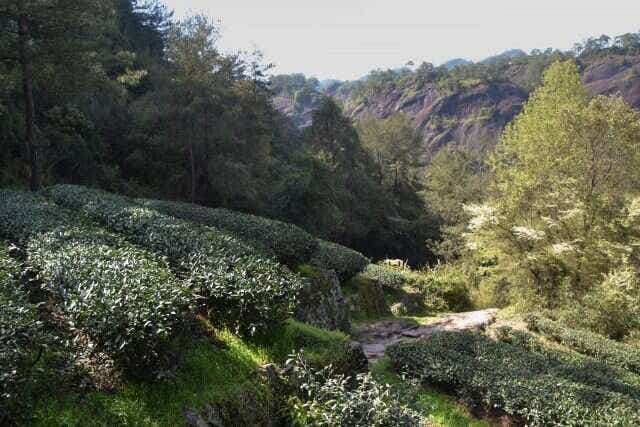 This region encompasses less than a dozen acres of actual tea fields, and the highest level Rou Gui from Ma Tou sells for hundreds of dollars for just a few ounces. It is often faked in tea markets across China, but its distinctive intense yun sensation makes it easy to spot. The tingling cooling quality of this tea seep into the tongue after only a few sips and grow in intensity over each steeping. Li Xiangxi’s partner Jun Jun’s aunt has a small plot of land nestled in the Ma Tou valley, and this year due to the Li Family’s technical renown, she entrusted the roasting of her harvest to Li Xiangxi and her brothers. Li Xiangxi shared a half kilo of this harvest with us pre-packaged in 7g packets to share with interested tea lovers. We are excited to be able to share this limited offering, and for the opportunity ourselves to taste Ma Tou Rou Gui. Even within the tiny region different elevations, tree ages and growing orientations can influence wild price fluctuations, so we are lucky that Jun Jun’s aunt’s plot is in a more affordable spot within Ma Tou otherwise we likely wouldn’t even have the opportunity to taste this tea, let alone share a half kilo. 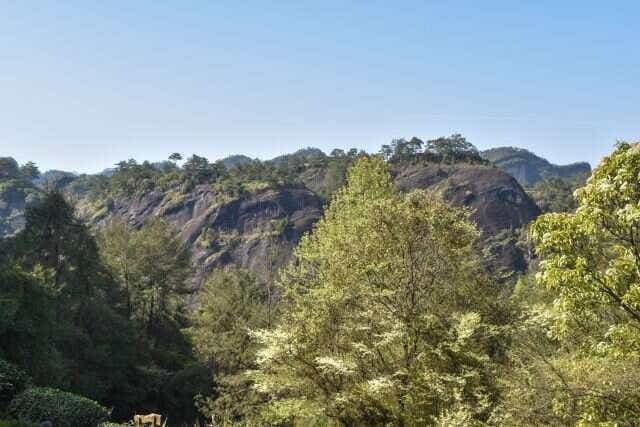 Pine trees were nestled between rows of tea bushes, all perched between mountain crests and sheer rock faces. We walked over a rise and the dramatic horses head rock formation revealed itself. Among the terraced tea fields was a single Taoist temple. Indeed, the micro-climate here seemed perfect for tea. Trees, controlled sunlight, and perfect soil. After seeing Ma Tou it was much easier to understand why the tea yielded such an intense texture. The minerals and the slow growth from controlled sunlight were a perfect recipe for a tea that has gained fame across China. 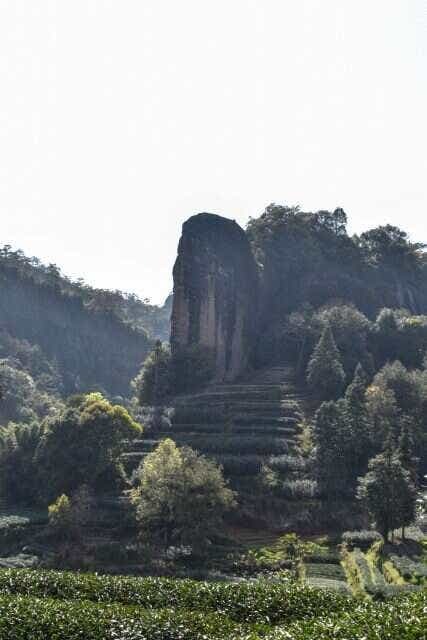 The trip was a reminder that it isn’t just a region like Wuyi or Anxi that defines a tea, it is the specific valley or mountain slope, the hours of sunlight, the proximity of other plants and birds, and of course, the technical expertise applied to both cultivation and processing. So much has to come together for perfect tea, we are constantly humbled and reminded to enjoy every sip. Posted on November 23, 2017 at 8:45 pm.